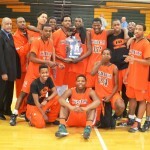 Douglass and Cass Tech both lost in the Big D semifinals of the Detroit Public School League championship tournament. But that hasn’t stopped Coach Nkwane Young’s Hurricanes or Coach David Dixon’s Technicians from leading the PSL’s charge in the Michigan High School Athletic Association boys’ basketball state playoffs. Led by Mr. Basketball candidate Darrell Davis’ 24 points, Douglass (16-9) defeated private school powerhouse Detroit Country Day 69-56 Wednesday to win the Class B regional championship at Pontiac Notre Dame Prep. Terrell Hales scored 16 points and Daavi Bradley had 14 points, eight rebounds and two blocks in support of the victory. Cass Tech (18-5) can also advance with a victory on its home floor today (Thursday, March 13) in the Class A regional championship game against University of Detroit Jesuit (20-2). Tip-off is 6 p.m. The winner plays Romulus (21-4) in the Class A state quarterfinals Tuesday, March 18 at 7 p.m. at University of Detroit Mercy’s Calihan Hall. Douglass, with its first regional title since 2010, will play in the Class B state quarterfinals Tuesday, March 18 at 7 p.m. at Marysville. The Hurricanes face the winner of today’s (Thursday, March 13) 7 p.m. regional title game between Goodrich and Millington at North Branch. All the remaining teams are eyeing a trip to Michigan State University’s Breslin Center for next weekend’s state semifinals and championship games. Cass Tech and Douglass are in a position that many expected to see PSL champion Pershing or PSL finalist Southeastern instead. 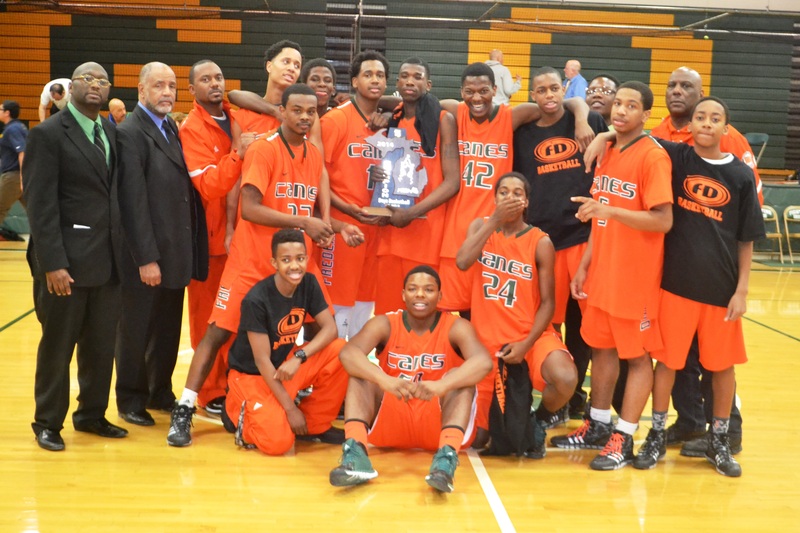 Pershing defeated Douglass in the league semifinals and beat Southeastern in the PSL finals, but was eliminated from the state tournament with a loss to Cass Tech for the district title. Southeastern, which beat Cass Tech in the league semifinals, was ousted from the state tourney in the regional semifinals by U-D Jesuit.